Yesterday I was surprised to see that Yvonne from The Mashburn Collection had nominated me for the "One Lovely Blog" award. I really enjoy reading Yvonne's blog, so receiving a nomination from her was very special. I am also honored to be nominated for the Ancestor Approved award by Angler's Rest and Judy at Genealogy Leftovers. I must admit that I received this award quite a while ago and I am just now posting my response. But I was new to genealogy blogging and wanted to take my time to answer the questions fully. 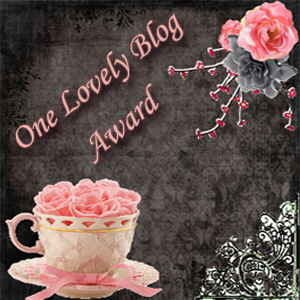 The One Lovely Blog award was created by Sara at Works of Art by Sara. The Ancestor Approved award was created by Leslie Ann at Ancestors Live Here as a way to show her appreciation of her fellow genealogy bloggers. Recipients of the award are asked to list items that they have learned about any of their ancestors that has surprised, humbled, or enlightened them. 1. 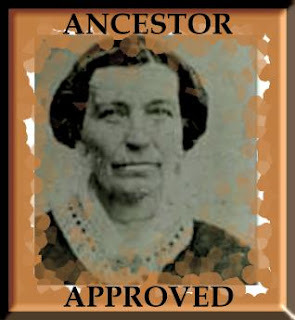 This applies to all my ancestors. The more I learn about not just their facts (dates, place of burial, etc.) but about their lives I am reminded of how lucky we are in the modern world. We have access to so much more information, better tools to do about anything, even indoor plumbing! But our ancestors didn't care about what they had to deal with...it was just life. And because of them and their advances we are better off today. 2. One of my biggest surprises was learning that two of my Civil War era ancestors were captured and held at the same Union Prisoner of War camp: Fort Delaware. One, Marcellus White, was assigned to the Salem Flying Artillery, a unit from Virginia. Samuel McGuire was assigned to the 1st Missouri Cavalry. Following the war they both ended up in Ray County, Missouri where their grandchildren later married. 3. In genealogy research I have been enlightened by how much assistance I have gotten from local historical societies. I have received countless copies and leads from my queries to historical societies and my visits to these organizations have always been met with kindness, bar none. These are the best places to find information on relatives that is outside the simple facts of their lives. 4. I have also been amazed by how much the Internet can offer genealogists. My great-grandmother was a genealogist and I have seen all the letters she had to write in order to find information. I still have to write letters for various requests, but nothing like she would have had to do. Although I must admit that I do enjoy that wait for snail mail...such anticipation! 5. I am amazed by the grit shown by all of my ancestors that were farmers or ranchers. Most of my family were tied to this lifestyle and as I know what a tough existence it is I am proud to say they are mine. 6. I am also amazed by how open people are to sharing their hard-earned research. It seems that genealogists are a very caring group of individuals. We could easily hide our research behind our backs, but instead we do whatever we can to share with each other. It is amazing and I am very proud of our sharing demeanor. I am relatively new to blogging, so my list of blogs that deserve these awards may seem a little scant. I have listed the blogs that I follow regularly through Google Reader. I agree with Wendy B. What a cool community we have, and how blessed are we to have the resources at our disposal to find our families. Thanks for the shout-out, cuz. Looking forward to a Missouri trip this spring/summer.